Greetings from Germany! 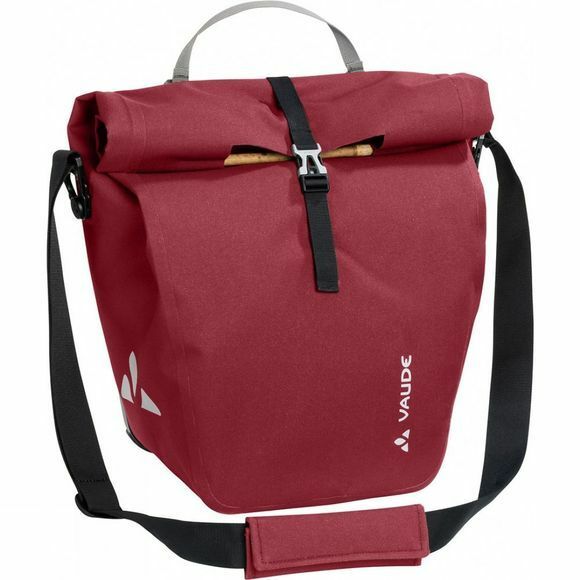 This urban Comyou Back Single Pannier with roll closure and bamboo handles is climate neutrally manufactured in the South German Vaude company headquarters near Lake Constance. The durable material has a textile look, is completely PVC-free and welded waterproof tight, which makes an extra raincover superfluous. 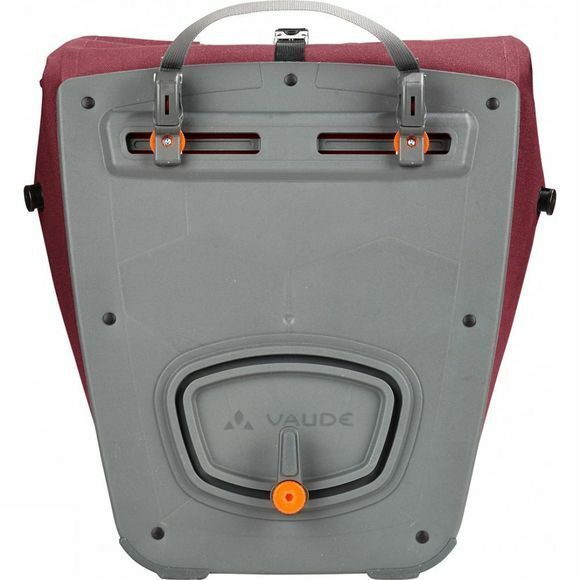 This clean cut bike bag features a main compartment that has an expansion bellows with a small zip bag. The bag is securely attached to either the right or left side of the back gear rack with the QMR 2.0 system, which also allows for easy adjustment and quick on-and-off.